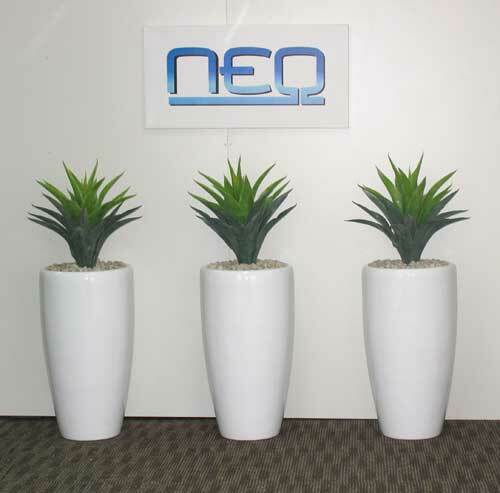 Pointy leaf agaves in round venetian fibreglass pots. 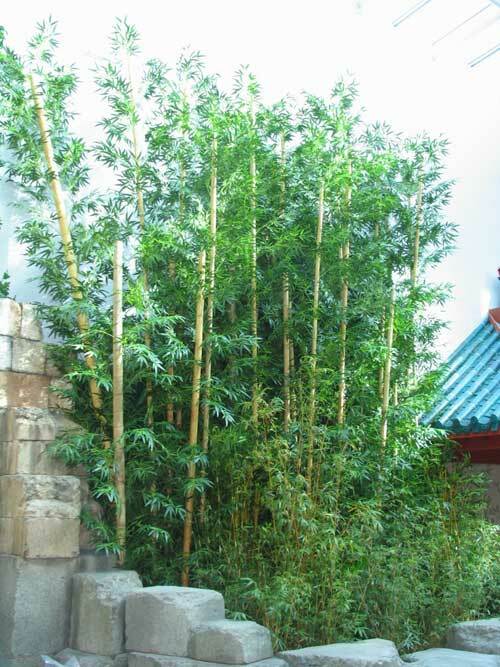 Six metre high bamboo forest in Banstown Sports club. 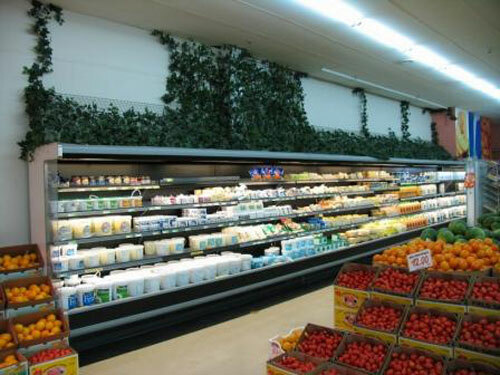 Fruit market in Quenbeyan. 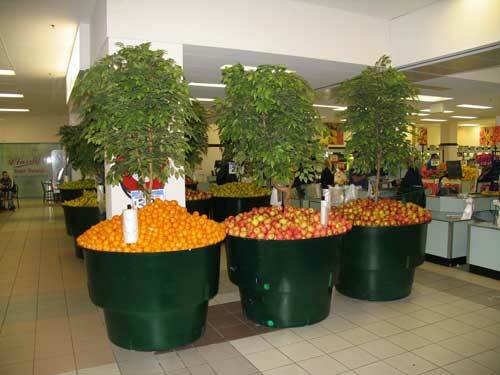 Made to customer specification usimg ficus sprays. 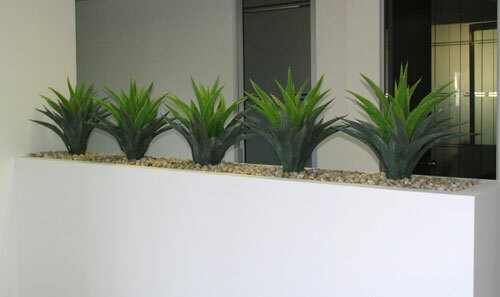 Assorted agaves used in undercover outdoor planter box. 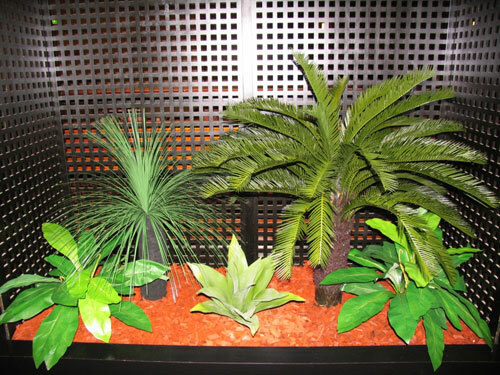 Planterboxes filled with Mother In Laws Tongue plant and large grass bush with 120cm Cycads in lower garden. 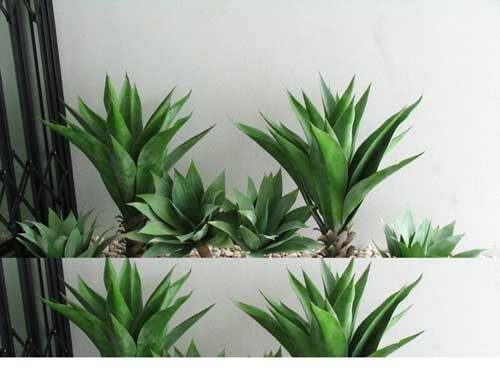 70 cm Agave with 28 pointy leaves. 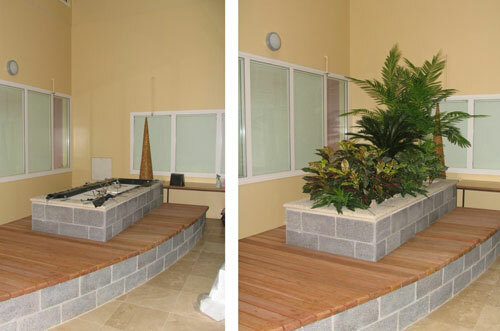 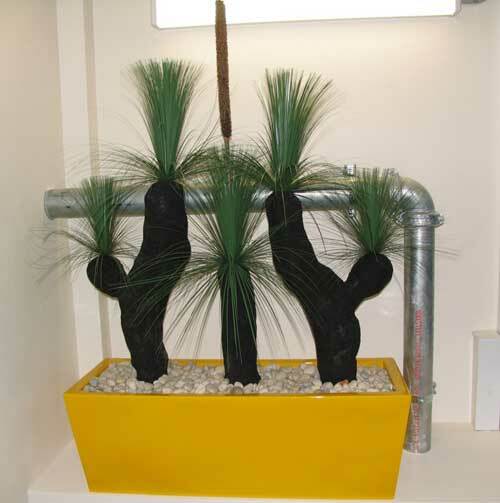 Planterbox at Campsie RSL Club using 120cm Cycad, Medium Blackboy, Bird’s Nest Ferns And 40cm Agave to give an Australian native theme. 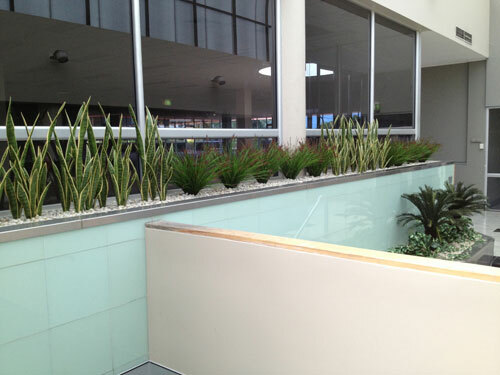 Planter box at the Westmead Hospital Birthing Unit using Golden Cane Palms, Cycad, Zebras, Crotons & Boston Ferns.